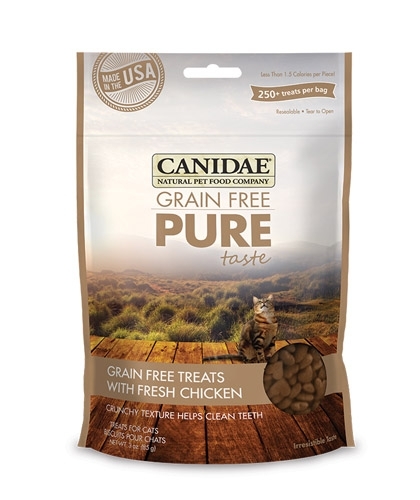 Our new CANIDAE® Grain Free PURE Taste treats are deliciously nutritious for cats! 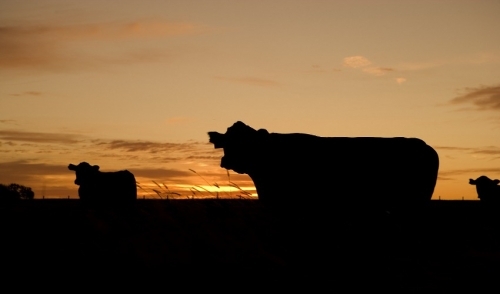 When our nutritional specialists created these new grain and gluten free recipes, they didn’t stop at the basics. 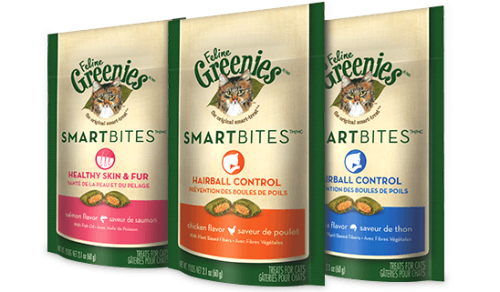 Our unique Fresh Chicken recipe also features wholesome turkey meal, peas, potatoes, and lamb meal. 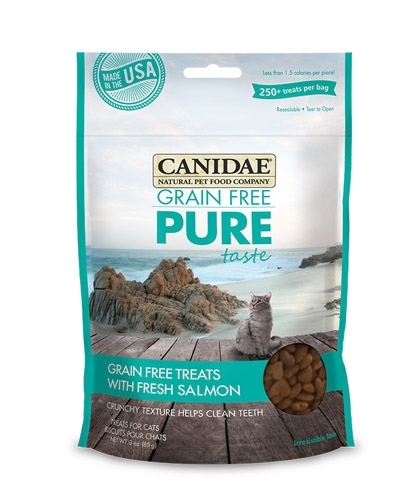 Our new CANIDAE® Grain Free PURE Taste treats are deliciously nutritious for cats! When our nutritional specialists created these new grain and gluten free recipes, they didn’t stop at the basics. Our unique Fresh Salmon recipe also features wholesome peas, potatoes, sweet potatoes.